Are you, or someone you love, grieving the death of a child? The Shrine of Our Lady of Pompeii invites Men and Women to join us for this very special day of reflection, healing and hope. We welcome you or someone you know in the peace of Christ Jesus. Speaker: Rev. Richard N. Fragomeni, Ph.D. There are so many things about life that cannot be explained. The unbelievable, inconsolable loss of a child is one of life’s most difficult experiences. The absence of such a precious life, no matter the age or under what circumstances, wounds deeply. Grief mixed with anger and confusion rises. We cry out for answers. How do we cope with losses of new life, of promising futures? How do we move through our grief, our vanished hopes and dreams? How do we make the painful journey back to full life as we remember and honor our lost child? On the Feast of St. Jude, Patron Saint of Hope and Impossible Causes, Fr. 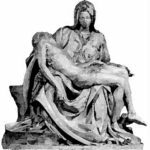 Fragomeni will offer a reflection and discussion on how St. Jude encourages hope and perseverance for those who are experiencing the impossible cause of grieving the loss of a child. This Pilgrimage to Mary’s House is a pilgrimage of solidarity. For Mary, too, has lost a child, but nevertheless, continues to hope in the promise of God. The Shrine of Our Lady of Pompeii stands with and for those who carry the burden of the Lost Child. We of Mary’s House open our doors and our hearts to you, standing with you, for Mary’s Bethlehem joy was Mary’s Calvary vigil of sorrow as well. We have faith in the power of prayer to heal the soul and faith in the comfort and support of a community coming together in solidarity. Speaker: Rev. Richard N. Fragomeni, Ph.D. Nationally acclaimed speaker, author, retreat master and teacher. 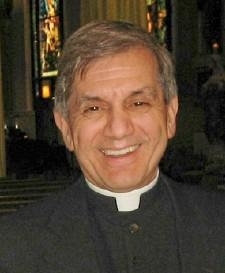 Rector of The Shrine of Our Lady of Pompeii, Professor of Liturgy and Preaching, Catholic Theological Union, Chicago, Adjunct faculty, Department of Religious Studies, DePaul University. Central to Fr. 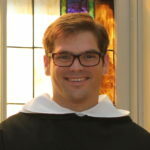 Richard‘s ministry is a fascination with the power of liturgy and preaching in the transformation of the human heart. He is author of Come to the Feast and co-author with Br. Michael McGrath, O.C.F.S., of both Blessed Art Thou Mother, Lady, Mystic, Queen and At the Name of Jesus: The Way, The Truth and The Light. He has published In Shining Splendor: Fifty Eastertime Meditations, and The Eucharist: 50 Questions from the Pews. No one will be turned away. Please contact the Shrine for details if you are in need of financial assistance for this program. 9:45 a.m. Rev. Richard N. Fragomeni, Ph.D.
ONE: Precious Babies, Regaining Life and Hope – Julie Berggren, M.A. 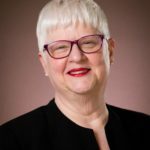 TWO: Milestones Celebrated and Mourned: The Death of a Child or Adolescent – Mary Ellen O’Donnell, M.A. We invite you to bring a photo of your loved one for a special display on Saturday, October 28. How do we bring forth Christ in our world today? How is God’s solidarity with all of creation expressed through Sts. Francis, Dominic, and the mystical insights of Bonaventure and Meister Eckhart? A morning retreat on how our image of God affects how we live and relate to others as we prepare a place for the Lord this Advent. Br. 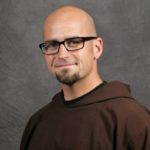 MJ Groark, Capuchin Franciscan friar of the Province of St. Joseph, entered the order in 2008 and made his perpetual vows in 2014. Serving in numerous capacities within the order, he has ministered in Milwaukee, Detroit, on Native American reservations in Montana and is currently stationed on Chicago’s Southside. A graduate of St. Xavier University he has degrees in philosophy and anthropology. Br. MJ is currently in the Master of Divinity program at Catholic Theological Union preparing for the priesthood. Br. Nicholas Reynolds, O.P. is a Dominican friar and member of the Province of St. Martin de Porres. He holds a BS degree in Physics from Furman University and is currently a 5th year student studying theology and philosophy at Aquinas Institute of Theology in St. Louis, Missouri. Bro. Nicholas enjoys topics on spirituality and likes to take walks for contemplation. He is a lover of food and cultural cuisines. $25 Paid Registration is due by Wednesday, December 6. Online: Click here to register online via Give Central. 9 a.m. – 3 p.m. Listening is an art. Deep listening happens in the heart. Beyond our logical minds there is a ground of knowing where we encounter Divine grace and compassion that heals and transforms us. Come and learn practices in deep listening where our inner and outer landscapes meet. We’ll experience Centering Prayer (Christian tradition) and the secular aspects of Mindfulness Meditation in the Shambhala Buddhist tradition. Cultivating silence, noticing and not judging our thoughts opens our hearts to receiving God’s abundant grace and mercyas we know our basic goodness. Director of Social Engagement, Shambhala International, creates safe spaces for young people in Chicago teaching how to live mindfully and give back to society. Coordinator of Interreligious Relations, Office for Ecumenical and Interreligious Affairs, Archdiocese of Chicago, builds relationships with people of many religious traditions. Susan was the Shrine’s Director of Pilgrimage Ministry for more than 12 years. Susan and Aarti were delegates with the Buddhist Catholic Vatican Dialogue and met Pope Francis in June 2015. “We should glory in the Cross of our Lord Jesus Christ”: these are the first words, the entrance antiphon, of the Mass of the Lord’s Supper, the beginning of the Triduum. The Scriptures of Lent, especially the Gospels of the third, fourth, and fifth Sundays in year B – this year – prepare us to enter into the three most solemn days of Holy Week and focus on the mystery of our salvation: the death and Resurrection of the Lord. We will spend our time together reflecting on these Gospels to prepare ourselves to Glory in Christ’s Cross. Speaker: Victoria M. Tufano, Senior Editor & Liturgical Consultant at Liturgy Training Publications. She has served as a parish director of liturgy and Christian initiation, and as a diocesan director of worship. She was as a team member for institutes of the North American Forum on the Catechumenate and served on Forum’s board of directors. She is a frequent writer and speaker on liturgy and Christian initiation and was the editor of Catechumenate: A Journal of Christian Initiation and of several books on initiation. She holds a Master of Arts in liturgical studies and a Master of Divinity, both from the University of Notre Dame. $25 Paid Registration: due Wednesday, March 21. Includes lunch. * Online: Please click here.